In a knowledge-driven economy, those without at least a high school diploma will be far more limited in their work prospects than those with one. But scholars and educators disagree on the rate of graduation in U.S. high schools. Some new statistics seriously understate minority graduation rates and fail to reflect the tremendous progress in the last few decades in closing the black-white and the Hispanic-white graduation gaps. 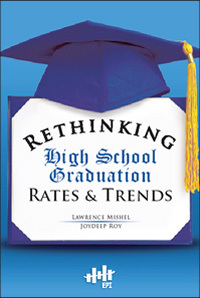 Rethinking High School Graduation Rates and Trends analyzes the current sources of available data on high school completion and dropout rates and finds that, while graduation rates need much improvement, they are higher, and getting better.